There is no time to lose. Right NOW we need to reduce use of cars. This can be done if there is the will to do it. The planet depends upon us all globally–and Americans are among the worst offenders. 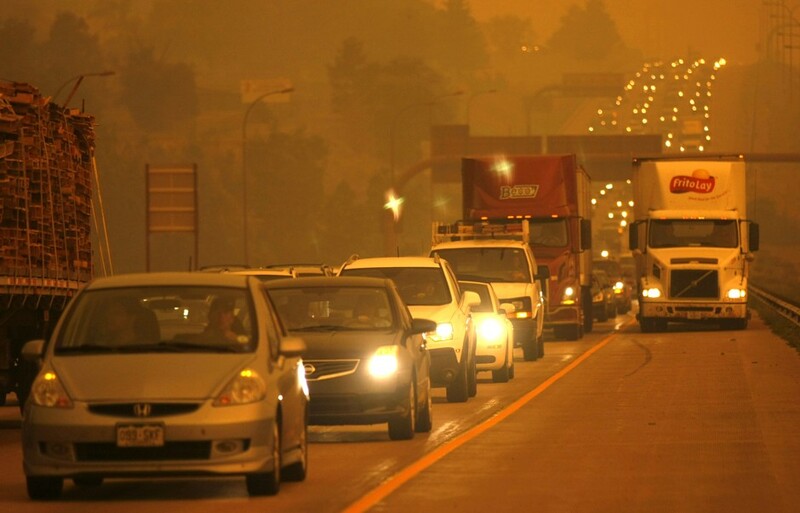 Smoke from the Waldo Canyon fire engulfs the I-25 north of Colorado Springs, causing a traffic congestion, in Colorado June 26, 2012. According to the report, decarbonizing the transportation sector would require electrifying vehicle fleets, shifting mobility choices from low- to high-efficiency modes en masse, and transforming urban planning to curtail sprawl and make walking, biking, and transit use easier.